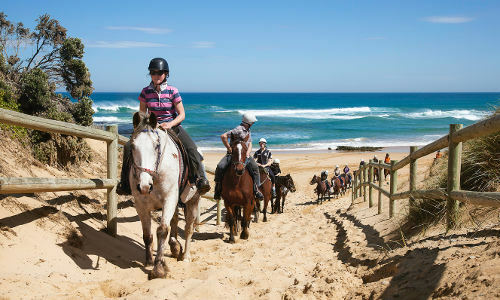 The Mornington Peninsula, located about one and a half hours South of Melbourne, provides an exhilarating venue for horse riding with stunning ocean beach views! Beginners are more than welcome with a range of rides on offer that are perfect for new or low-level riders, as well as horses that are well trained, calm and give a relaxing ride experience. No matter the choice of ride or destination, be it on the beach, out in the local Aussie bush, at a walking pace or a steady gallop, there is a ride suitable for anyone - making the choice of a gift completely customisable for any recipient! 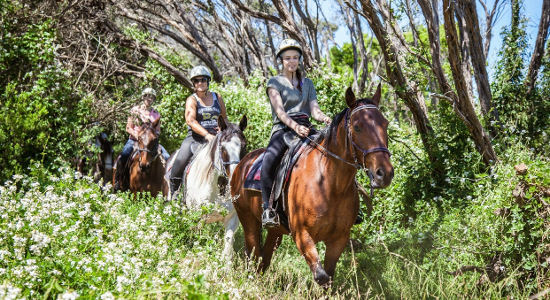 Saddle up and ride through a comfortable Aussie bush trail at a relaxing pace - ideal for families with younger children and those with limited time. 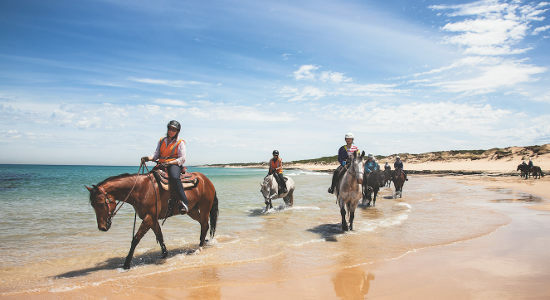 Ride on horseback through brilliant Aussie bushland then head out along the Mornington Peninsula's beautiful beaches - gift vouchers here. Follow up a spectacular ride along the bush trails and beautiful St Andrews Beach with a relaxing experience in the nearby Hot Springs of the Peninsula! 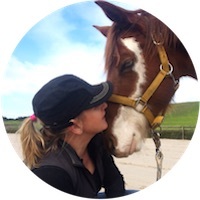 "Join us at Gunnamatta Trail Rides and discover the ultimate outdoor adventure with our gentle horses, stunning natural surrounds and world famous trail rides. "